DISCLOSURE: I received a free issue of All You Magazine from Crowdtap to facilitate this review. It's a new school year. My kids have been back now for a couple weeks. The weeks preceding the first day of class was a little chaotic. With the new baby, we were pretty late in getting the kids ready for the new school year. We ended up buying their backpacks and school supplies the day before school started! It would have been great to have something to help me get organized and better prepared for the first day of school. All You Magazine comes to the rescue! Each year, the magazine releases a special Back To School issue several weeks before school starts to help you start the new school year on the right foot. And 26 recipes the whole family will love, from school lunches to weeknight meals that are on the table in 20 minutes or less. The recipes were my favorite part of the magazine. I'm always on the hunt for new recipes to try. I'm not much of a cook. My husband does the majority of the cooking (probably 99% of it! ), but I do like to bake. This issue had something for both of us, as well as recipes that I think my kids will like. 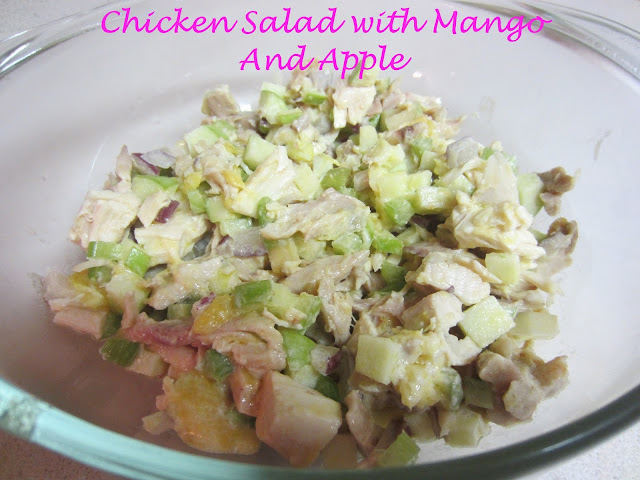 I chose to try the Chicken Salad with Mango and Apple first. We had just bought a rotisserie chicken from the store to eat for dinner the night before and thought this would be a great way to jazz up the leftovers! We had almost everything in the house already. We did have to pick up the Greek-style yogurt, Granny Smith apple and mango. 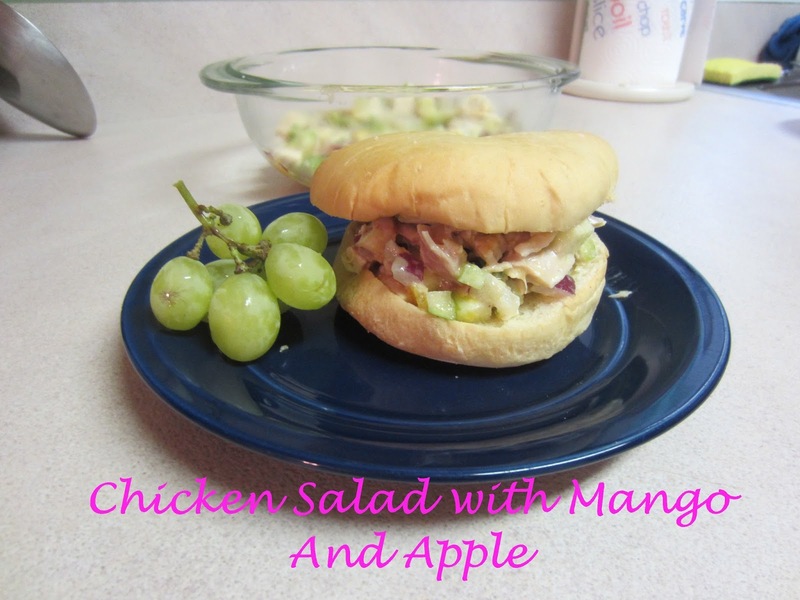 It was pretty easy to make and was really good! It can be eaten by itself, as a sandwich or as suggested by the magazine, served with whole-grain crackers or over salad greens. In a small bowl, whisk together yogurt, olive oil, lemon juice, honey, curry powder and 1/2 teaspoon salt. Cover and chill until ready to use. In a large bowl, toss chicken, apple, mango, celery, and onion until well mixed. Add reserved yogurt dressing and toss well. Season with salt and pepper. Serve right away or cover and chill to take for lunch. 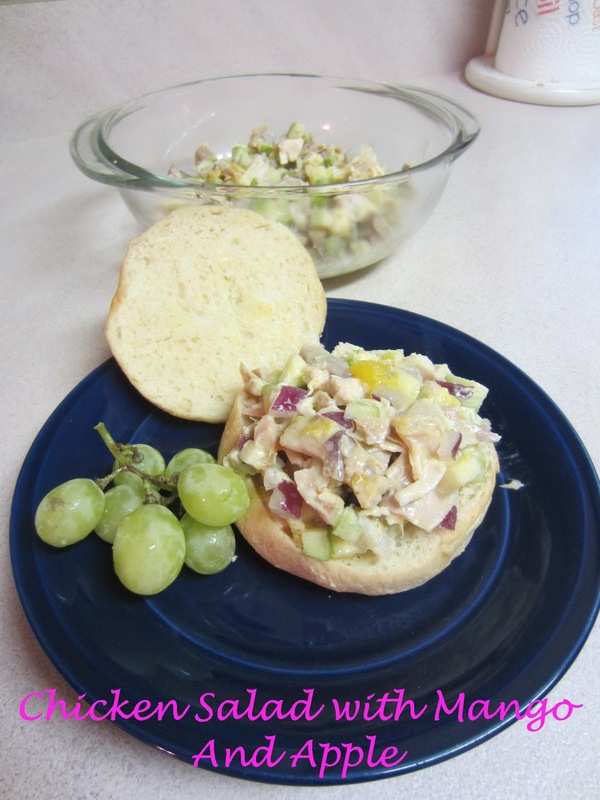 NOTE: You can substitute grapes for the mango, if you can't find it. There were several other recipes I want to try. I just have to find the time and get the right ingredients. I may post others in the future, either here on this review blog or on my upcoming baking blog (Eye Bake). I did find the numerous ads and mentions of Walmart a little annoying. I rarely shop at Walmart. It's far and not as nice as other stores in my area. 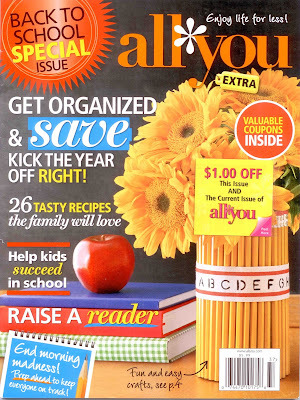 The Back To School Issue of All You is usually on newsstands mid July. You can find it in the magazine section at Walmart or at other select locations. It retails for $5.99. This looks really tasty and refreshing! I love All You!